Ingrown hair prevention tends to be a common topic. This month, you’ll hear about me reaching into my cabinet for a new magical and effective spin on our traditional sugar scrub: Granulated honey crystals mixed with Babassu oil and organic essential oils. Welcome Clover & Bee Body Polish to my routine; yours too! Let me know what you think. 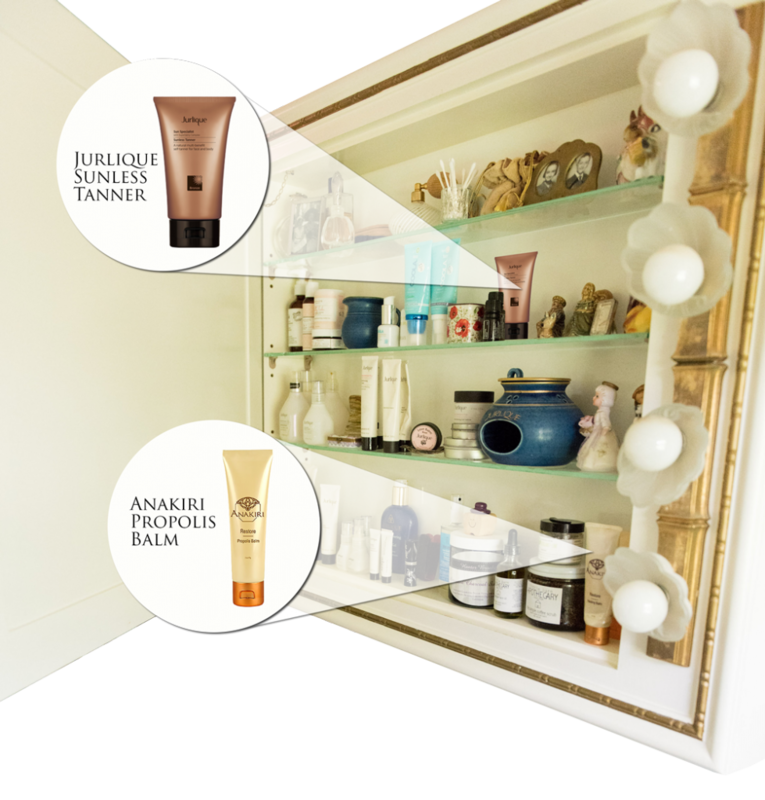 Used in the Spa’s Sweet and Sunkissed service, Jurlique Sunless Tanner utilizes a super berry complex to protect but also keratinize your cells to achieve a natural skin tone versus an orange additive coating. The magic of the super berry stimulates the protective barrier in the cells to protect your skin from sun damage and burning prior to sun exposure. 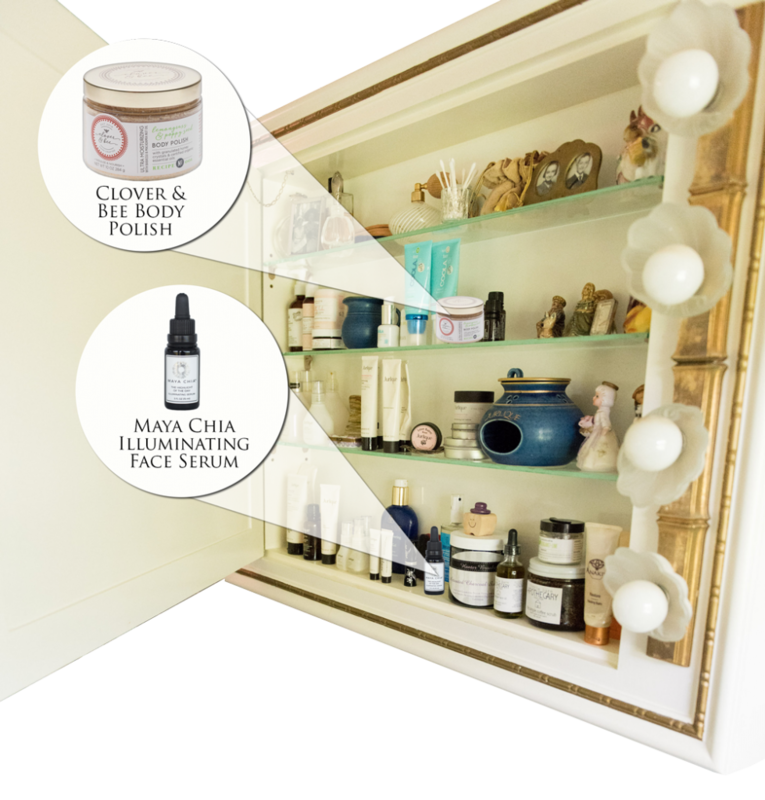 A client favorite, this is Mother Nature’s first aid balm. It’s perfect for healing, treating and preventing ingrown hairs, wounds or blemishes and magically relieving itching from insect bites. Laden with calendula, aloe and most importantly bee propolis. 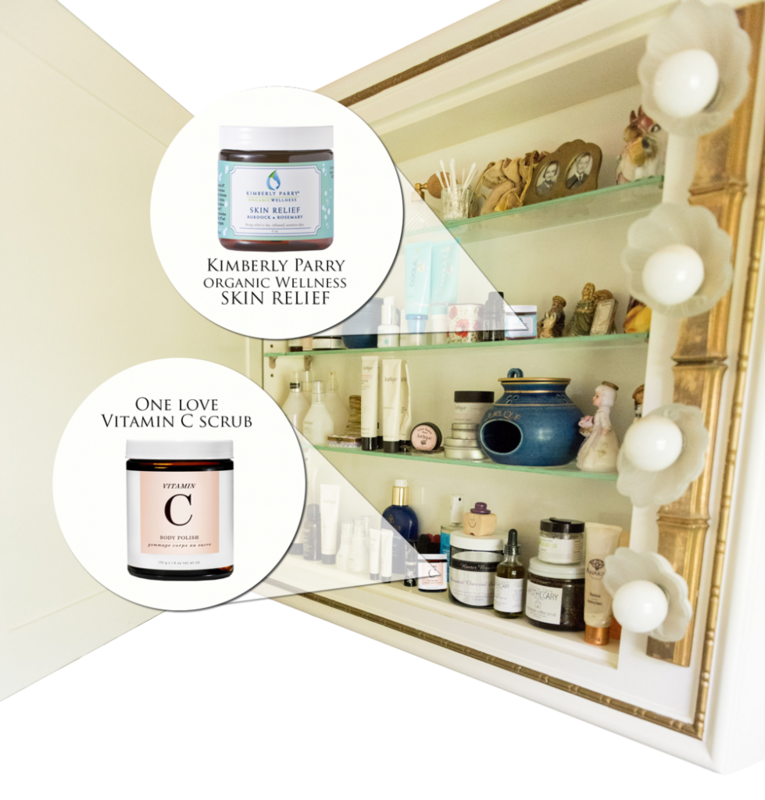 Mention you’ve read about this in Christina’s cabinet for 20% off your first time purchase of these two products! GOT BISCUITS? – You’ll Want to See This! 10% off ANY ONE SERVICE or 10% off your ENTIRE MEAL! Your lunch break will thank you! The Red Shoe Walk is October 23! 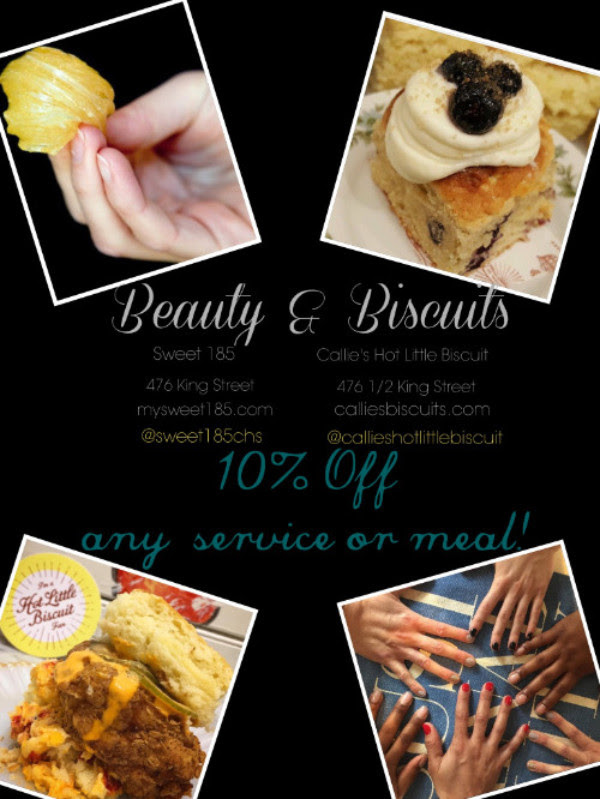 WIN a FALL RE”TREAT” at Sweet 185! Pumpkins aren’t just great for carving or baking. They are a rich source of potassium, zinc, alphahydroxy acids, enzymes and free radical-busting antioxidants like beta-carotene and vitamins C and E. Also, organic pumpkin seed oil and fatty acids provide a nourishing, good-enough-to-eat treat for your skin. This summer, if you overcooked yourself in the sun, dabbled in a few too many adult beverages or swam in a lot of chlorine, this is the treatment for you. Your skin is warmed and stimulated with a specialized naked dry brush, followed by a moist whole-body compress and a holistic massage with soothing pumpkin oil. Your therapist then re-wraps you to make sure the nutrients are completely infused into your skin. While you are cocooned in your wrap, your therapist will begin your facial. Utilizing the pumpkin extracts, your therapist exfoliates, detoxifies and brightens your face as well as protecting it for the winter. 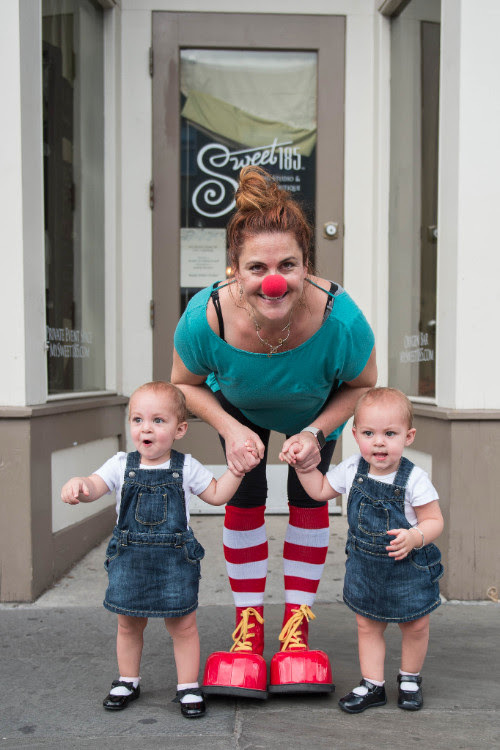 Our pint size sweeties, Simcha and Ziva, are almost 2 years old and need Halloween costumes; and who better to help than our Sweet 185 family? Here’s the FUN part! Your challenge is to create 1 “identical” costume for our two little ladies, for example 2 marshmallow puffs = YES, 1 Peanut Butter and 1 Jelly = NO. They also must be able to walk, or, “trick or treat” in them comfortably. The MOST creative WINS! 1 entry per sweetie…SO MAKE IT COUNT! BACK TO SCHOOL BROWS AT SWEET 185! Say Hello to Beautiful Brows! We want you to start your school year feeling your best! Brows are the TRUE framework of the face and deserve the SWEETEST treatment. With organic sugaring, made only of sugar, lemon and water, you can enhance your brow, naturally, without exposing your beautiful face to harsh chemical waxing. Looking to intensify the look of your brows? Add a lash and brow tinting to your sugaring service (we only use vegetable based tinting materials, of course). Picture it, Fall 2015 and you are experiencing Sweet 185’s Pumpkin Chai Detox. Wasn’t it luxurious? Help us welcome it’s sister delight, a Vitamin C nectar butter full body wrap, coupled with a renewing, vitamin complex facial! Summer is flying by and you want that beautiful tan to live on into those wondrous fall beach days! AHH! STOP, do not get that spray tan OR hop in that tanning bed. How about a natural, sun-kissed dew, instead? What if it were coupled with a full body exfoliation to ensure the most even application? Yes, we’ve got that for you! Phewww, that was a close one! Rain, Rain Go Away…We’re Open! Afternoon sweeties! Do you have an appointment with us TOMORROW or SATURDAY? Don’t worry, we’ll be here to #giveyousomesugar! The sweet team is watching the weather closely, and, will keep you updated with early closures in the event of severe inclement weather. Follow us @sweet185chs for updates! Don’t forget….Monday is Labor Day and we will be CLOSED! We will see you back bright and early Tuesday, September 06, at 9 a.m.